What Would be the VISIBLE Signs/Symptoms that Academics have 2 Interfaced Together Bodies, one 'Visible/Observable', another 'Invisible'? Why Doesn't 'Spiritual' Information SPECIFICALLY Define/Describe In DETAIL Our TWO BODIES INTERFACED TOGETHER 'CIRCUMSTANCES'? Why Would Academic/Science be 'AUTOMATICALLY' overly FIXATED on the Physical Visible/Observed? Let me remind you of what I wrote on a previous page of this anomalous memories series . . . In that ESP = extra sensory perceptions and ‘are’ specifically labelled as such because they are associated with sensing and perceiving ‘things’ that are ‘not’ considered to be part of the easily observed physical ‘consensus’ reality because they cannot be detected or confirmed either by physical instruments or by other peoples physical senses and perceptions of the same ‘locations/places’ under the same ‘conditions/circumstances’. Which then somewhat directly implies that specific people can access a parallel ‘reality’ that is NOT PHYSICAL, which then directly implies that at least ‘some’ specific people have senses/perceptions/awareness’s that ‘can/do’ access and perceive things within a parallel none physical reality. So, a ‘Two Bodies Interfaced Together’ THEORY/HYPOTHESIS proposal would be eminently rational under these circumstances because in that we’d all have two bodies then we’d all automatically have a second set of senses and perceptions as well as a second set of ‘feelings/emotions’ and also another set of ‘MEMORIES’ never mind likely various ‘awareness’s/inner/internal states’, specifically because these are part of the normal functioning of the ‘INVISIBLE’ SECOND BODY!!!! In that yourself as a SUBTLE FORM are actually ‘essentially’ invisible with respect to the ‘normal’ physical perceptions/senses of the remote human vehicle that you are currently interfaced to then ‘conceptually’ it would be difficult to DIRECTLY CONFIRM/PROVE THIS, because for the majority of people interfaced into our pseudo physical reality here the ‘attention/consciousness’ of your ‘real’ subtle body form is, via the interfacing deliberately forcibly orientated to the remote physical human body ‘vehicle’ and this vehicles senses that are of course attuned to the ‘physical’ . . . ‘HOWEVER’ . . . a ‘Two Bodies Interfaced Together ‘THEORY”, would in ‘essence’ provide a coherently conceptual framework that would not only explain ESP, but also all sorts of other ‘unusual/anomalous’ phenomena that are also actually COMMONLY experienced here . . .
Perhaps you’ve forgotten them or ‘unbelievably’ imagine there aren’t any!!!! In which case let me list some . . .
1. Being aware of and or feeling/sensing and or perceiving none physical presences including seeing ‘ghosts’, because these are ‘senses/felt’ by your second invisible body. 2. ESP: Extra Sensory Perceptions. i.e. NONE PHYSICAL BODY ORIGINATED PERCEPTIONS, because these are being picked up by the extra senses of your second invisible body. 4. Subtle Being Spirit ‘Possession’ Experiences, Real Subtle Body being ‘invisibly’ Messed with by a Subtle, none Physical ‘INVISIBLE’ Being. 5. Plus, we have: ‘Possessed’ beings doing ‘Crazy’ and out of character things, like trying to kill people. 6. We have People & Protocols to deal with ‘Possessions’, we have Trained ‘Exorcists’ Performing Exorcisms. Coincidentally, the two bodies interfaced together arrangement was observably, ‘visibly’ depicted within the ‘Matrix’ films trilogy. These films also regularly featured scenes showing; the ‘Possession’ of the ‘vehicle’ avatar. In other words, in plain sight, during the Matrix films we are REPEATEDLY ‘VIEWING/WATCHING’, people interfaced into the ‘Matrix’ becoming ‘VISIBLY POSSESSED/TAKEN OVER’ whom then immediately start to; CHASE, HUNT DOWN & EVEN ‘KILL’ OTHERS. However, not one person manages to actually become aware of, directly state / write about / ‘make this connection/correlation’ that people interfaced to a remote body could EASILY BE POSSESSED i.e. SOMEONE ELSE COULD INTERFACE TO THE SAME BODY AND IN SO DOING, TAKE CONTROL OF IT. 7. It’s ‘obvious’ that being able to ‘observe’ something doesn’t mean you’ll be able to ‘REGISTER/TAKE NOTICE OF WHAT YOU OBSERVE’ never mind then actually become aware of it’s significance/meaning!!! In this respect, the entire ‘MATRIX’ film viewers population and particularly those speculating on ‘Are we living in the Matrix’ possibilities all give the STRONG IMPRESSION of being unable to become aware of, integrate and correlate an abundance of consistently anomalous ‘possession’ experiences that are regularly ‘VISIBLY’ presented within the Matrix films not only with the 2 bodies interfaced together ‘Matrix’ reality arrangement that these films directly VISUALLY present/depict nor does it seem possible for viewers to be able to correlate these ‘TWO BODIES INTERFACED TOGETHER ‘POSSESSION” experiences with those that some people LIVING WITHIN OUR REALITY HERE have consistently ‘EXPERIENCED’. 9. Coincidentally, in the series ‘Westworld’ there are scenes of interviews between fake ‘RESIDENTS’ and the designers of these residents (AND their FAKE ‘reality’) whom are specifically asking the residents questions about: “what they think about their reality / are they suspicious about any facet of it”!!! In other words in this specific series you are explicitly made aware that the designers of a fake reality (and PARTICULARLY one trying to pass itself off as ‘REAL’) would devote a great deal of effort to PREVENT their fake residents from questioning their reality AND that these efforts would be built into the design and continuous TESTING of their ‘creation’ too. Again these visible ‘observable’ presentations in this instance making it clear that people designed to ‘appear’ as if they are ‘real’ will be managed to ‘BELIEVE’ THAT THEY ARE ‘REAL’ while also being managed to not notice anomalies while also being prevented from questioning or correlating these with the possibility that they/their reality may not be real. In other words a fake reality will be designed and rigorously tested with respect to comprehensively managing its residents to NOT QUESTION ITSELF!!! 10. Coincidentally, in plain sight here we also have sceptics and pseudo sceptics, whom against all known varieties of ‘reason’ aggressively harass and even ‘stalk’ individuals of significance/authority whom are not ‘merrily’ going along with the PHYSICAL ONLY / MATERIALISTIC DELUSION!!! These anomalous, never mind ‘bizarre’ behaviours are not only regularly and consistently presented BUT, they are well documented too. For example, there are many examples of this phenomenon in plain sight on ‘specific’ individual’s wikipedia pages as well as on their own personal blog pages here, and yet, ONCE AGAIN the STARK ‘correlations’ between the Matrix film arrangement HIGHLY VISIBLE ‘protect the fake reality’ PRESENTATIONS equivalent and what we have VISIBLY happening in our own fake reality are ‘amazingly’ also completely missed!!! 11. We have ‘MANY’ ‘Spiritual’ KNOWLEDGE, Beliefs & Myths that are eminently ‘CONSISTENT’ for a two bodies interfaced together ‘Matrix’ Artificial Reality arrangement. For EXAMPLE: large numbers of people ‘Believe/Know’ that they have what they call a ‘SOUL‘. We have Spiritual Knowledge sources stating that we ‘CHOOSE to have a ‘human’ experience i.e. this then directly implies that: “Who ‘WE HERE’ actually are is then ‘NOT’ the human form”!!! Consistent with the above we have many ‘peoples’ believing in Re-Incarnation i.e. they ‘believe’ and in some case claim to be aware that they are re-born!! Coincidentally this belief ‘DIRECTLY’ implies that ‘Who/what we ‘actually’ ARE’ is then INDEPENDENT of the human physical body form. Coincidentally, this also implies that ‘everyone’ will have had PREVIOUS LIVES AS HUMANS and coincidentally we have enormous amount of documented and consistent evidence that people HAVE LIVED IN PREVIOUS LIVES because in some cases they can ‘recount’ experiences of these previous lives. As if the above isn’t ‘revealing’ enough, WE also have speculation about as well as DESCRIPTIONS of ‘WHEN’ the ‘SOUL’ is ‘INTERFACED’ to the human form. Even worse Spiritual Knowledge directly associates the ‘interfacing of soul / subtle form to the fetus’ with ‘chakras & meridians’ i.e. with what one can deduce would ‘represent’ the ‘subtle to physical’ INTERFACING structures. DIRECTLY ‘associated’ with the belief in ‘Reincarnation’ is a belief in what is called ‘KARMA’, the mechanisms of which, explicitly describe the ‘MANIPULATION’ of the human form’s LIFE CIRCUMSTANCES and ‘EXPERIENCES’ spanning MANY LIVES. In other words in ‘PLAIN SIGHT’ we have EXPLICIT descriptions directly implying consistent systemic ‘MANIPULATIONS’ of humans whom it is strongly implied are REPRESENTING ‘something else’ AND that this ‘something else’ lives much longer than the human form it is INTERFACED to quite simply because this ‘something else’ is described as being repeatedly reincarnated, lifetime upon lifetime into different human bodies. These ‘MANIPULATIONS’, which are likely defined, generated and then applied by INVISIBLE means could perhaps EXPLAIN why the POSSIBILITY of MANIPULATIONS AREN’T EVER SPECULATED UPON (even within discussions of KARMA which as a concept directly implies MANIPULATIONS) perhaps because it is LIKELY that such MANIPULATIONS would as a priority work to absolutely sabotage/prevent SPECULATION of the ‘POSSIBILITY’ of the HUMAN FORM being DIRECTLY MANIPULATED!!! Basically, we have an ABUNDANCE of CONSISTENT beliefs, as well as an ABUNDANCE of CONSISTENT Spiritual Knowledge that ‘AMAZINGLY’ show a 100% correlation with what you’d expect ‘IF’ we are a subtle form being interfaced to a physical human body form AND that this form is directly manipulated by invisible means over many ‘incarnations’. We have beliefs in reincarnation that go back 1000’s of years, we also have beliefs in past lives, and worse, worrying numbers of people able to remember and recall past lives, including some very young children. In some of these cases their recall of a past life is focused around a very traumatic past life event, in other words, they are recalling an event that one can deduce would have a significant multi-spectrum impact on their SUBTLE FORM, to such a degree that carrying out a ‘standard’ as well as perhaps ‘automatic’ senses/vision focused memory wipe would not be enough to keep obscured the much more DEEPLY IMPACTING emotional and psychological shocks and scars that would be typical of a difficult traumatic event!!!. Some people (LIKE MYSELF) have spontaneously become aware of past lives. In my own case this only ‘happened’ AFTER I’d spent about a decade and a half of following a DAILY PROGRAM focused on spending consistent time orientating myself to become aware of and to feel into my own inner states, inner feelings and sensations as part of dedicated efforts to attempt to understand and to GET IN TOUCH WITH some of the ‘ORIGIN’ of some of my own debilitating personal issues. In other words I ONLY got spontaneously access to past life events and PARTICULARLY MULTI SPECTRUM TRAUMATIC ONES because I’d spent literally years and years orientating to and becoming sensitive to these. Beyond the massive amount of evidence that you have lived in previous lives, we ALSO have descriptions of the subtle form entering / being interfaced to the human fetus. These, as well as NDE experiences, OBE’s, death bed experiences can with some modest thinking effort be deduced as BEING LIKELY/EXPECTED of a VERY LONG LIVED subtle form interfaced to a physical form that is then facing / close to death, or in the case of out of body NDE of actually dying, BUT only temporarily. Would you expect a real reality to ‘present’ even one person convinced of or even ‘believing’ that they have been reborn into another body? Would you expect this? What would you ‘have to conclude’ if lots of people consistently ‘had this impression’ or even WORSE entire cultures not only ‘believed’ this BUT consistently described this and even called it ‘re-incarnation’ i.e. in PLAIN SIGHT they are describing a process that is of their population being repeatedly ‘reincarnated’ i.e. of themselves being repeatedly ‘re-interfaced’ to the human ‘physical’ body form. Once again I’m going to have to point out that, it’s exceptionally strange that many people and even entire cultures have STRONG ‘beliefs’ (and associated experiences of in some cases RECALLING past lives) that directly imply not only a ‘continuation’ of their ‘self/soul’ after death but even worse, a re-birth into yet another physical ‘human’ body form while also having beliefs that this has been happening throughout their/our historical past and that they’ve been born into and lived within and through many past lives. What is even more stupendously, exceptionally odd is that this ‘reincarnation idea / belief’ directly implies that ‘who they are / who they REALLY are’ is ‘therefore’ absolutely independent of AND EXISTS SEPARATELY FROM THE ‘EASILY OBSERVED’ PHYSICAL ‘HUMAN’ BODY FORM i.e. you have people with a belief that directly ‘implies’ that they are ABSOLUTELY NOT THE HUMAN FORM, which directly implies that they are INDEPENDENT OF and are ‘THEREFORE’ just being TEMPORARILY interfaced to a REMOTE independent body. Even more worrying is that we have pages and pages on the web that are focused on and speculating about, the time that the ‘soul’ actually ‘enters the human ‘fetus’ form. In this case the term; ‘enters’ is in fact a misdirecting substitute ‘term’ rather than describe it ACCURATELY as; ‘being INTERFACED TO’. You ‘know’ in the same way that ‘Matrix’ reality / Simulated Reality are the ‘descriptors’ we are MANAGED by invisible means to use rather than describing them in ‘conceptually’ REALISTIC/ACCURATE terms as; ARTIFICIAL/FAKE realities!! Working on these very aspects of the subtle form to physical human human ‘interfacing’ structures and functions before they were THEMSELVES interfaced into the system they were contributing to design parts of (i.e. they sub consciously know these details). . . or . . . They have ‘implants’ with information specifically focused on these possibilities which are also from the times before they were interfaced into the matrix which they are getting subliminal access to and writing about here . . . or . . .
Perhaps someone outside ‘The Matrix’ has hacked into their interfacing and is then directly passing details and information of these very possibilities to them? Perhaps this would be someone that doesn’t agree with people being interfaced into a FAKE REALITY whom is perhaps trying to RAISE AWARENESS OF OUR TRUE CIRCUMSTANCES/PREDICAMENT . . . or . . .
Perhaps the author is just MAKING IT ALL UP? Which I’m sure would be the ‘explanation of choice’ of people that dare use the words rational and objective to falsely describe ‘THEMSELVES!!! Even more shocking is that we have rather a lot of VISIBLY OBSERVABLE, as well as systematically consistent diagrams and descriptions of what you’d imagine ‘none simpletons’ would perhaps quickly recognise as highly likely to be depicting/representing the type of multi stepped/staged INTERFACING ARRANGEMENTS that one would imagine would be REQUIRED/USED to connect the subtle ‘soul’ form to the human physical body form. Can you remember these . . . Beyond ‘ALL OF THE ABOVE’, we also have a lot of documented instances of ‘possessed’ people i.e. people that have another subtle form directly engaging with, perhaps even hacking into their own bodies interfacing such that they are WORRYINGLY losing control over their own remote proxy human bodies functions and actions. As if this isn’t enough we also have ‘subtle aware’ people many with ‘connections’ to essentially ‘invisible’ subtle people living within the subtle environment ‘facilitating’ those whom are experiencing having their interfacing hacked. In other words their remote vehicle is being ‘possessed’, perhaps because they’ve not been keeping up with the human experience body rental repayment schedule, in which case perhaps their physical body is being repossessed!!! Repossessed, the repo man, the ‘reaper’!!! Perhaps that’s just a coincidence too!!!! For those that have difficulty reading entire ‘paragraphs’ then I’ve also converted the above evidence lines into numbered ‘points’!!!! 12. We have ‘Consistent’ records of ‘Out of Body OBE, Astral Travelling Experiences’ as well as of ‘NDE, Near Death Experiences’ both of which DIRECTLY imply an INDEPENDENT subtle form able to have a ‘SENSORY’ viewpoint impossible from a PHYSICAL FORM ‘SENSES’ ONLY perspective. 13. We have many recorded instances of: ‘After Death, Dead People Contacting the Living ‘Phenomenon’ as well as of ‘End of Life Experiences, Death bed Visions & Visitations ‘Phenomenon as well as Ghosts’, ‘again’ these experiences would be ‘EXPECTED’ of a 2 bodies interfaced together Artificial Reality arrangement. 14. We have many people having ‘CONSISTENT’ anomalous experiences such as ‘stranger in a strange land’, as well as people being aware of and or ‘feeling’ a ‘Disembodied None Physical Presence’ in some cases directly seeing a vague ‘ghost like transparent form’ as well as feelings and experiences of instant familiarity, soul mate phenomenon, all of which can be deduced as ‘likely’ for a two body arrangement where the ‘real’ invisible body is not only very long lived BUT has lived and had AN INDEPENDENT LIFE, WITH FRIENDS & ‘FAMILY’ before being interfaced to the human body form!!! 15. We also have people aware of ‘disembodied ghost forms’ and or having a ‘subtle form/entity’ hanging around themselves, or even worse as a ”NEGATIVE’ spirit or entity ATTACHMENT’. 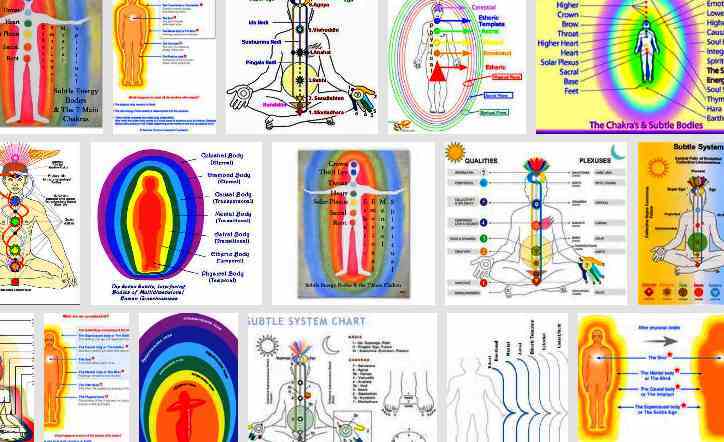 while also having people that are AWARE OF AND WHOM DEAL WITH THESE POSSIBILITIES, described as ‘spirit releasement / entity release’ services to deal with any ‘nasty, abusive spirit forms’ that are ‘harassing’ the ‘subtle’ body form DIRECTLY. 16. Last but not least I’ve then listed example after example of the consistent as well as eminently observable and ALSO ‘expected’ ‘REALITY ORIGINATED MANIPULATIONS’ of ‘someone’ whom in being ‘COMPETENT’ is then THINKING & SPECULATING ‘REALISTICALLY’ about various REALISTIC ‘ARTIFICIAL’ i.e. FAKE reality ‘POSSIBILITIES’ because, ‘conceptually and cognitively’ they aren’t ‘DEAD IN THE WATER’ i.e. because they are COMPETENT AS A RESEARCHER. If there was a ‘Nobel’ prize for consistent and systemic; ‘GROSS INEPTNESS AND INCOMPETENCE’ they’d have to ‘mint’ 10’s of millions of these because the only people who’d ‘NOT’ be awarded one would be those academics and scientists that are consistently and systemically attacked, harassed and ABUSED by sceptics / pseudo sceptics. More detailed information as well as further ‘evidence’ points beyond those that I’ve given above (for the ‘two bodies interfaced together’ possibility) can be found on one of my ‘visual’ presentation pages here as well as on a ‘long’ written page here. I’ve also a general intro page here which points out that we are not only missing having presented basic information/definitions/described characteristics of the commonest/obvious artificial reality types BUT that no one notices that this is the case either!!! How can you discuss anything without having access to basic defining information/the baseline characteristics of what you are ‘allegedly’ discussing/writing about . . . well apparently it’s quite easy, as it’s done EVERYWHERE ELSE EXCEPT ON ‘MY’ WEB SITES . . . Including the highly anomalous phenomenon as to why no scientist or academic has put this theory forward as part of a rational/coherent effort to explain all sorts of anomalous phenomena . . . If you reading this ‘ARE’ an academic AND you were designing any type of fake reality then which population group would you ‘assess’ as being the most dangerous to your fake reality in terms of the ‘potential’ of these specific people whom in just ‘DOING WHAT THEY DO’ would (in a hypothetical ‘REAL’ reality) become aware that they are likely living within a likely deliberately deceptive FAKE reality ‘approximately’ 5 minutes after watching any of the ‘MATRIX’ films? If you ‘were’ designing a fake reality then how would you ‘manage’ dangerous ‘groups’ (perhaps researchers for example) AND how would you manage them to completely ignore and or be oblivious to and or the POTENTIAL FAKE REALITY CORRELATIONS/SIGNIFICANCE of any ‘artefacts, anomalies, glitches, clues and or the abundance of human frailties’ that they may encounter? What Would be the VISIBLE Signs/Symptoms that Academics have 2 Interfaced Together Bodies, one ‘Visible/Observable’, another ‘Invisible’? How would you prevent them from becoming aware of a whole variety of anomalous experiences as well as direct correlations between these and spiritual knowledge and or various beliefs (that are easily evaluated as being UNREALISTIC/IMPOSSIBLE for a ‘real’ reality) BUT which are actually VERY LIKELY to arise and or be descriptively accurate for as well as directly observed within a two bodies interfaced together population? How would you prevent any ‘historian’ or ‘religious studies’ academic from correlating reincarnation and karma (describing humans being manipulated over historical time scales as part of some invisible ‘self improvement’ program?) with the two bodies interfaced together ‘MATRIX’ reality possibility. How would you prevent any academic speculating about: Computer Simulation, ‘The Matrix’, Matrix-Style Computer Simulation, Advanced Civilizations Video Game, A Simulation possibilities and even one that wrote or read about the above ‘Afterlife’ possibilities from correlating reincarnation and karma (which describes humans being manipulated over historical time scales) with the ‘Matrix’ artificial reality possibility while ALSO preventing them from even becoming aware that the ‘MATRIX’ artificial reality in it having a real but ‘invisible’ person’s body being interfaced to a remote ‘proxy’ body could then offer reincarnation and Karmic manipulation possibilities? How would you do this? How would you PREVENT ‘anyone’ from actually SERIOUSLY considering this ‘WE COULD BE BEING DIRECTLY MANIPULATED, even when they read of this possibility written out in plain language while being broken down into a stupidly simple format offering ‘point by point’ presentation inclusive of observable evidence / coherent arguments? How would you do this? How could you manage them so that they are STILL, absolutely unable to sit back and start to actually TAKE THIS SERIOUSLY, while STILL IMAGINING or even WORSE they are STILL UTTERLY CONVINCED of the ridiculousness of this possibility, such that they still remain oblivious to the 100% STRONG management evidence correlations with respect to their own reactions and responses to what they are reading about HERE AND NOW!!!! How would you do the same for all of the anomalous experiences that you’d EXPECT (because you can DEDUCE, that THEY WOULD BE LIKELY WITHIN YOUR FAKE REALITY) for a duplicated copied, entirely software defined ‘simulated’ population? How would the designer of any artificial reality make it as difficult as possible for ‘anyone’ BUT particularly for ‘academics’ reading this to be able to conceptually orientate themselves towards and to then attempt to ‘monitor’ themselves and then ‘evaluate/assess’ THEMSELVES / WHAT IS HAPPENING TO THEMSELVES as they themselves are READING THIS PAGE, as they are reading ABOUT artificial reality ‘MANAGEMENT’ possibilities? Why Doesn’t ‘Spiritual’ Information SPECIFICALLY Define/Describe In DETAIL Our TWO BODIES INTERFACED TOGETHER ‘CIRCUMSTANCES’? This ‘memory’ focused page here is, to a certain extent more ‘realistic/comprehensive’ in it’s scope because it at least ‘mentions’ different feelings types/emotions as being associated with different body areas. However, despite this page is ‘spiritual’ in it’s outlook, it fails to mention what ‘spiritual’ actually refers to/means. Isn’t it exceptionally ‘ODD’ that these ‘spiritual/spirit/soul/subtle’ possibilities and the STARK RAMIFICATIONS/IMPLICATIONS of these are not ‘DIRECTLY’ mentioned, never mind pointed out in detail on ‘ALL’ so called ‘spiritual’ pages (at least none that I’ve read). In that the word ‘spiritual’ is the generic ‘cover all term’ related to information about ourselves as actually being a subtle form/being living within a higher frequency/’energetic’ environment . . . which, then in essence DIRECTLY IMPLIES that we’ve all then two bodies, a ‘real’ higher frequency environment originated subtle body form (locally called the soul, the higher-self etc. etc.) and then the more easily seen/observed physical human ‘body’ form which of course is nothing more than a proxy run around VEHICLE that resides within a way denser/slower ‘resonance/frequency’ realm. In that you reading this and EVERYONE ELSE HERE, all actually do have ‘2’ bodies then it’s very obvious that this actually means that me/you/everyone here each PERSONALLY have two sets of senses, two sets of feelings/emotions as well as two sets of memories, never mind perhaps many none physical ‘states/sensations/awareness’s’ etc. etc. i.e. we’d all have NONE PHYSICAL ‘EXTRA’ SENSES because of course ALL OF THESE relate to our invisible subtle body form that is interfaced to ourselves here. In that what I wrote above is absolutely true and correct i.e. it is a ‘FACT’, then this makes researching all sorts of things HIGHLY PROBLEMATICAL, and particularly for some very specific aspects of ourselves. Why Would Academic/Science be ‘AUTOMATICALLY’ overly FIXATED on the Physical Visible/Observed? Somewhat equivalent to a rabbit being easily mesmerised and transfixed by a cars headlights such that it cannot move/respond or see or take in very much at all? For example, research of our senses as well as of our memories of these would be a nightmare if we are each being ‘represented’ by two different bodies interfaced together. If we do have two sets of senses (as well as ‘therefore’ two sets of memories of these) then it’s likely impossible to not have at least some people gain ‘coherent’ access to both the senses as well as of the memories of these at least SOME OF THE TIME. Even worse, perhaps ‘someone’ because they find themselves having some SERIOUSLY DEBILITATING PERSONAL ISSUES, in then RATIONALLY orientating to ‘themselves’ and their entire internal landscape and spending time DAILY doing this may then end up becoming aware of ALL SORTS OF THINGS, that academia and science are not even allowed to think about never mind even speculate on to any rational/objective degree. If we all actually ‘REALLY’ do have two bodies then it would be exceptionally likely that academics and scientists would all be directly as well as STRONGLY managed via their invisible subtle form itself as well as via the interfacing between the two interfaced bodies specifically to have them determinedly ‘attempting’ to have to explain everything in physical body ‘ONLY’ terms which would likely result in a massive amount of fudging as well as outright/built in ‘blindness’ both to everything that simply doesn’t add up never mind the piss poor scale and quality of information on these particularly ‘worrying’ aspect of ourselves which in many instances are also OBVIOUSLY ‘WRONG’!!! Can you ‘think’ of any now? Can you ‘THINK’ of any potential problems of interfacing billions into a Matrix type reality before reading the next page? If you aren’t being managed it shouldn’t be too difficult should it!!! I talked to myself alot as a young child. Was I talking to my subtle body? Was this easier and natural as still ‘new’ to the world? And not yet influenced by the rules and regulations of this place.